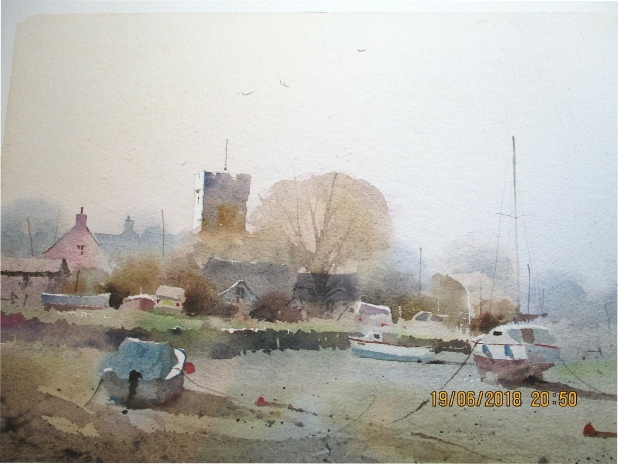 At Tuesday's meeting the members were treated, once again, to an entertaining, skilful and inspiring demonstration of pure watercolour. It was also a masterclass on overcoming unexpected complications!! 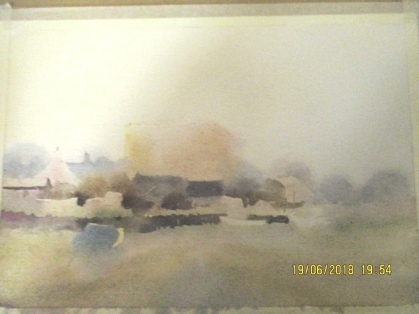 Peter was using paper, (Watford) made a few years ago... the size on the paper was breaking down in places, causing bleeding as it was drying rather slowly. 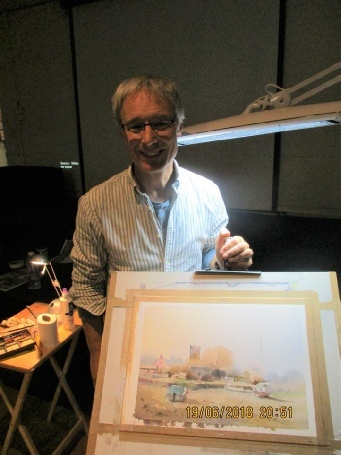 With humour and panache, Peter produced a beautiful, atmospheric painting of Angle. The evening was hugely enjoyable and the Society would like to thank Peter for yet another amazing demonstration. Words and photos by Jude Harrington-Smith.